Most Washington DUI cases involve breath tests. More recently, Washington police officers have been skipping the breath testing process altogether where DUI impairment is suspected for marijuana or other drugs rather than alcohol. In these cases, it is often faster to simply ask a driver if they will agree to give police a blood sample. If the driver agrees to a voluntary blood draw, the officer can usually finish a DUI investigation in a fraction of the time without having to worry about the complicated process of first making a formal arrest and seeking a blood draw warrant. While this is great for police, it is never beneficial to a suspect to volunteer for a blood draw. Any criminal defense attorney will tell you the same thing. Making the police’s job easier usually makes your life harder. It may be tempting to think that police will go easier on you if you cooperate. It is true that you should always treat police with respect and be polite to them. However, if you volunteer to a blood draw they will seek to use the blood test results against you 100% of the time. 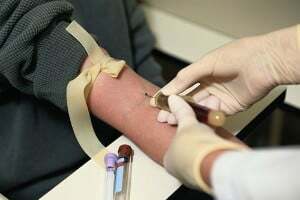 If the blood draw shows that you were impaired, you will not likely be able to challenge that evidence later if you simply agreed to give it to them. Take it from a DUI lawyer, do not consent to a blood draw if asked by the police. Make them go through the steps of obtaining a search warrant. There are many reasons why this is better for you. Read below to find out why. If You Have Been Charged With A DUI In Clark County or Vancouver WA, Time Is Of The Essence! Call Our Office To Speak With Attorney Roger Priest Immediately. Breath test cases can be more difficult for police than blood test cases. A normal alcohol DUI case usually requires a DUI arrest, a vehicle tow, an opportunity to contact an attorney, implied consent procedures, and a 15-minute observation period before a breath test can be performed. This almost always takes at least an hour after arrest to accomplish. In certain cases, it can takes much more time. With the recent legalization of marijuana in Washington State, doing a breath test is often not necessary. If the officer suspects marijuana or other drugs are the cause of the DUI, it makes sense to simply ask the driver if he or she will consent to a voluntary blood draw. If the driver agrees, then entire process can be done right there on the side of the road. Typically, the officer has the driver sign a consent form and then calls for an ambulance to drive over and draw blood right there on the spot. This entire process can take 15 minutes or less in some cases. Most people are uncomfortable telling the police “no”. In fact, many people don’t realize that they can say “no”. Not only is is OK to say “no”, it is your constitutional right to say “no”. You cannot get in any trouble for not consenting to a blood draw. In fact, there is no good reason to consent to a blood draw in most cases. By consenting to a blood draw, you basically give up any chance of having the blood test results thrown out of court. If you don’t agree to a blood draw, the police have to seek a search warrant. A search warrant takes more time to obtain. This is important because every second counts in a DUI investigation. Take alcohol for example. The difference between a BAC of 0.081 and 0.79 is only .002. That is a small amount, but it is the difference between being over the legal limit and under the legal limit. That can be the difference between a guilty verdict and a not-guilty verdict at trial. Because your body metabolizes drugs and alcohol over time, the longer you wait to draw blood the lower the contents of your blood will be. Simply, your blood draw will show less impairment the longer it takes to get the blood sample. If you consent to a blood draw, you insure that police get your blood as early as possible. Considering there is no legal downside to making them get a search warrant for your blood, it pays to just say no. You can’t stop them from seeking a search warrant, but you don’t have to give them the keys to your body either. The more complicated the process is, the more likely the police will make a mistake. If you consent to a blood draw in your DUI case, the police don’t really have to do any work. If you refuse their request for blood, they have to make an arrest, write a search warrant, get a judge’s approval, then take you to a hospital to draw the blood. By making the police do more work, you make it more likely that they skip a necessary legal step or make a mistake in the search warrant application process. These mistakes can lead to suppression of the blood test in court. If the blood test gets thrown out due to police mistakes, you will have a much stronger case and more leverage. A criminal defense and personal injury law practice in downtown Vancouver, Washington. We take criminal cases in Clark County, Washington, including the municipal courts of Vancouver, Battle Ground, Camas, Washougal, and Ridgefield, as well as the surrounding counties. We take personal injury cases throughout Washington State. Will a Washington DUI Suspend My License? This website is not designed to be particularized legal advice for any individual case. Any information contained herein is for generally informative purposes and cannot substitute for the assistance of an actual attorney. Simply reading this website does not create any attorney-client relationship between the reader and Roger Priest or VanWa Legal PLLC. Rather, if you wish to have the assistance of an attorney with your particular case, call to schedule a free consultation with Roger Priest.